You can find a wide range of quality clips within our fasteners and fixings odder. Browse hose, pipe and spring clips as well as a great range of kits and clamps. We partner with trusted manufacturers to bring you quality products, including HI-GRIP, Jubilee, HellermannTyton and our own band RS Pro. 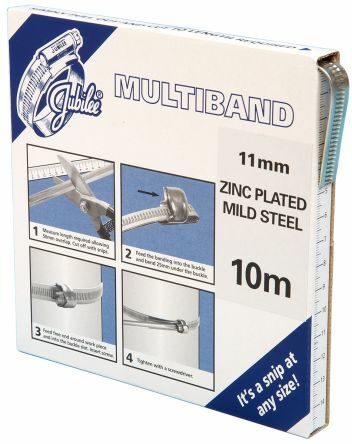 Our hose clips or jubilee hose clips as they are popularly known (due to the brand name being synonymous with hose clips) are available in many different materials such as stainless steel, brass and Zinc-plated steel we stock the Jubilee range of superclamps too. We offer many materials so that you can make the best choice for your fittings, some materials such as stainless steel are corrosion resistant and are better for fastening pipes or hose that may be exposed to the element for longevity. Our hose clips are measured in mm and we carry a range of sizes, such as 12-20mm, 25-35mm, 50-70mm, even as far as 1000mm in diameter. We stock P-clips which screw into a support for a cable, hose or pipes in a situation where the components may get damaged from chafing. 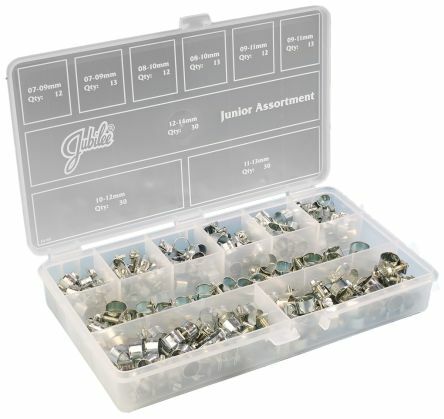 Our P-clips are sold in packs of 20-100 pieces. Pipe clips and clamps are integral for plumbing. The clips are used to fix pipes into the correct position, in liquid and gas connections. There are both plastic and metal fixings available to correspond with the suitable application, for example, you may use a plated product such as zinc plated steel as this prevents corrosion. Pipe clips are available in measurements of either metric (mm) and imperial (inches). We also stock a range of saddle clamps for pipes which need to be lifted off the ground. Please browse our full range for more choice. 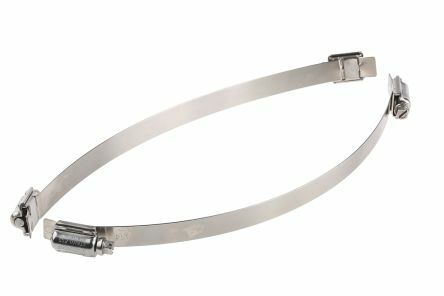 The range of stainless steel multi-torque bandings are the ideal solution when you need both strength and performance from your hose clamps. 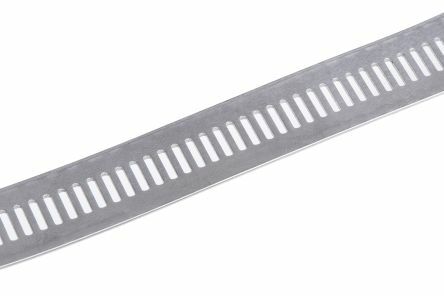 Strong Can cut to size Rounded edges 8 mm A/F slotted hexagon adjusting screws.